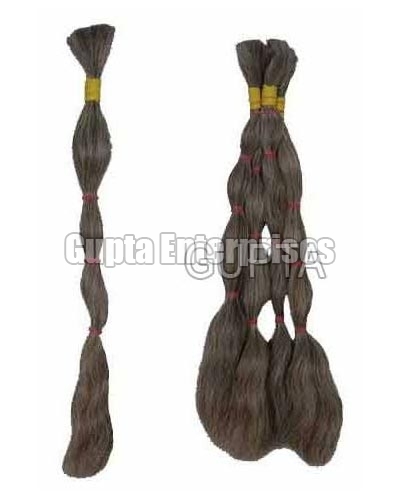 Our company is actively involved in manufacturing, exporting and supplying the best grade Single Drawn Grey Hair. Made from natural human hair, the Single Drawn Grey Hair is tangle free, clean and hygienically processed. The silky texture, easy to comb nature and sheen of the Single Drawn Grey Hair make it high on demand by the clients. Further, customers can avail the Single Drawn Grey Hair from us in different color mixtures, textures and lengths at very affordable prices.